After traveling the globe to create this 10 track LP, Branko has set his sights on a tour around the world in support of the Atlas LP. A fitting name to the solo debut album that showcases the music producers love of all things music and how culture influences our taste. While the album has influences from hip-hop, dance, pop, baile funk, and kudoro, Branko shows us that music is universal and can reach out to us from across the globe. 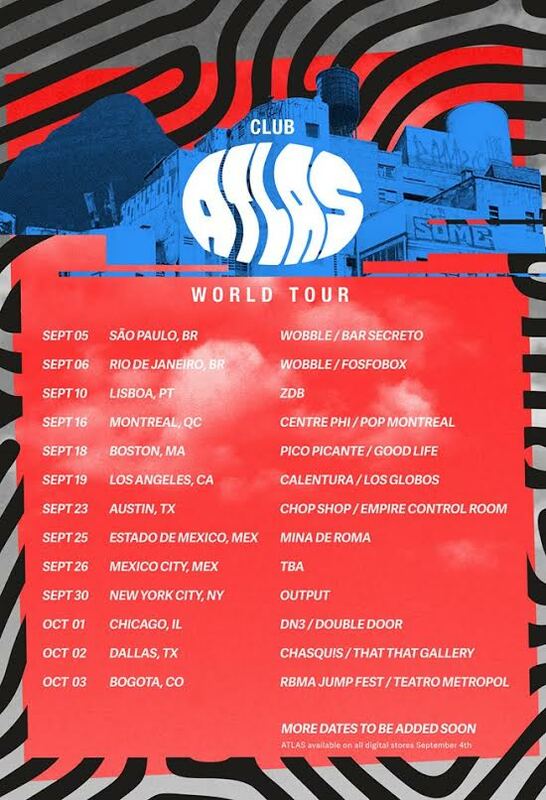 His Atlas tour kicked off in Sal Paolo, Brasil earlier this month and makes its way up and around North and South America for the release party on September 30th in New York City. More dates will be added but if you have the chance, seeing Branko and his globally inspired LP will be a rare treat. Check out the full album below and grab your tickets before they are gone.